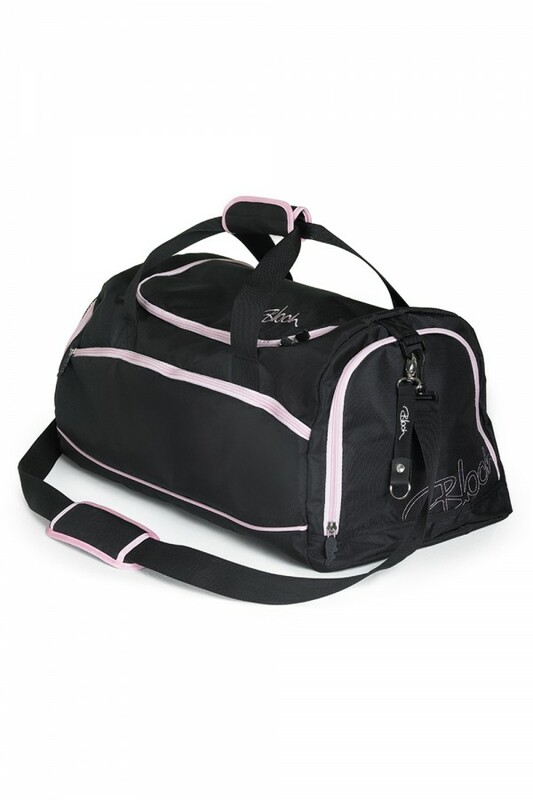 Ballet Duffel Bag by Bloch comes in Black or Black with Pink Trim and features a roomy interior and breathable mesh side pocket. Ideal for long rehearsals and show days. End pocket features a pouch and closes with zip for secure storage.